Low oil prices have claimed two more casualties, Goodrich Petroleum and Seventy Seven Energy. Since oil prices tanked two years ago, almost 60 U.S. oil and gas and oil service companies have filed for bankruptcy or closed their doors. Even though oil prices have risen slightly, they are still so low that companies can’t make a profit. That is terrible news for shale bond or energy stock investors. Goodrich Petroleum made its announcement on Friday. The company hopes that bankruptcy will allow it to eliminate about $400 million in debt. Bondholders will receive stock in the company in return for wiping out the debt. Seventy Seven announced its planned bankruptcy filing today. In a prepared statement, the company says it plans to file a prepackaged bankruptcy petition next month. The company plans on restructuring its debt and replacing its debt (bonds) with equity (stock). The company has about $1.1 billion in debt. As of this writing, the stock has already fallen by 57% today. What once was a $26.87 per share stock in July of 2014 is today worth just pennies a share. Just last week one analyst was still rating the company as a “buy” showing just how out of touch Wall Street is from Main Street. Seventy Seven isn’t an exploration and production company but is an oil field service provider. Low oil prices hurt these companies almost as much as the actual producers. Defaults and bankruptcies have become a common occurrence for U.S. energy companies. Most oil and production companies need oil prices to be at $60 to $65 per barrel in order to earn a profit. Those prices, however, haven’t been seen for two years. When banks and hedge funds hold the debt, we do not worry. They are professional money managers and better able to assess the market risks of low oil prices. Many bond holders and stock investors in these companies, however, are retirees and senior citizens. These are mostly folks who invested on bad advice from stockbrokers. Bank interest rates have been consistently below 1%. Short term Treasury yields are even lower. Many retirees have looked to brokers for advice on how to stretch their retirement dollars. Unfortunately, some unscrupulous brokers recommended energy bonds – often called a shale bond – to their clients. On paper, these bonds offer high yields but anyone in this business knows they are extremely risky. Today they are mostly junk grade paper or worthless. Given a choice between losing all your savings or settling for low yields, the choice is obvious. These investors weren’t given a choice, however. Stockbrokers have a duty to provide accurate information to their customers. That includes explaining risks. A broker that only discusses yield or returns without also talking about risk violates strict industry rules. Stockbrokers also have a duty to insure that they only recommend suitable investments. Are junk bonds suitable for someone needing their money for retirement? Of course not. Often investors tell us that their broker has retired or left the business. Fortunately, the brokerage firm where they once worked can also be responsible for any losses. Brokerage firms have a duty to properly supervise their brokers and agents and insure they comply with the rules. We also hear that some brokers tell their customers to “ride it out” or that the market will change. Stockbrokers don’t make guaranties but we guaranty that if you wait too long, the statute of limitations for bringing claims will prevent you from filing a claim. If received bad advice, don’t wait. Most claims against stockbrokers can be handled on a contingent fee basis meaning you never have to advance any money. If we don’t win, you don’t pay. Stockbroker fraud is a huge problem. You certainly aren’t alone, especially in the energy stock and shale bond market. 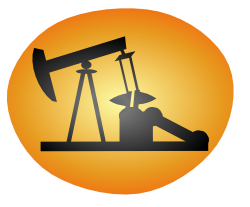 If your portfolio includes shale bond or worthless energy stock investments, call us. There is never any charge for the call and consultation. You can also read more on our shale bond information page. or by telephone at (202) 800-9791.